Few hotels in the world can match the scenery of Colorado with an amazing spa atmosphere like the Hotel St. Julien � in Boulder Colorado. This luxury destination has attracted locals and travelers from all over the world with its world class spa treatments and comforts when guests aren�t seeing the gorgeous rocky mountains which are a few minutes away. When guests return to their suites in the evening, another bit of luxury awaits them in the bedding at the Hotel St. Julien, the Down Etc. � 75% Feather 25% Down Pillow. The Down Etc. 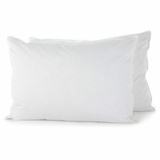 � 75% Feather 25% Down Pillow is the ultimate spa pillow. Supportive yet comfortable, soft and cushioned the Down Etc. � 75% Feather 25% Down Pillow has customers begging the housekeeper to tell them where to get the pillow. Down Etc. � made this pillow that way so customers could get a supportive feather/down pillow while not sacrificing the appealing visual that down pillows have. The Down Etc. � 75% Feather 25% Down Pillow achieves this first with a 75% white goose feather filling. White goose is the most premium type of feather you can use in bedding because it is very supportive but also quite soft. Down Etc. � then uses a 25% white goose down to give the pillow impressive loft and that soft sinking feeling that guests want when they lay down to sleep at a luxury spa like the St. Julien. Feel the difference white goose down makes in the Down Etc. � 75% Feather 25% Down Pillow! 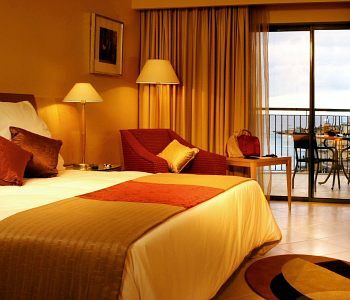 The St. Julien � trademark is the property of St. Julien Hotel �; this trademark is not owned or licensed by HotelPillow.com. The St. Julien Hotel � trademark is used on this website for descriptive purposes to inform customers of HotelPillow.com that the 75/25 Down Etc. Pillow sold by HotelPillow.com is the same pillow found at the St. Julien Hotel � property. The 75/25 Down Etc. Pillow is not manufactured by St. Julien �.